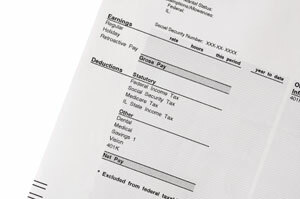 Payroll is a time-consuming chore for small businesses throughout the Tampa, Florida area. Not only does payroll take a lot of time and effort, but it is also easy to bungle, which may lead to costly fines or even civil and criminal charges. If you are a business owner in the Tampa, Florida area who wants to escape the many pitfalls of do-it-yourself or in-house payroll preparation, contact Reliance Consulting, LLC. Our complete range of payroll services, tax preparation services, and many other accounting specialties can save you weeks of time per year and keep your businesses in compliance with tax regulations. With our payroll services saving you time and stress, you can concentrate on what you do best—running your company and increasing your profits. From Tampa to Lakeland and Sarasota to Hernando County, our payroll services are among our most popular small business accounting services. When you need a CPAand accountant who can provide you and your workforce with compliant, reliable, and precise payroll processing, Reliance Consulting is the firm you can depend on for outstanding, affordable results. For more details about payroll services provided by the CPAs and accountants at Reliance Consulting, please contact us today for a free, no obligation “check up” of your business or individual financial health.